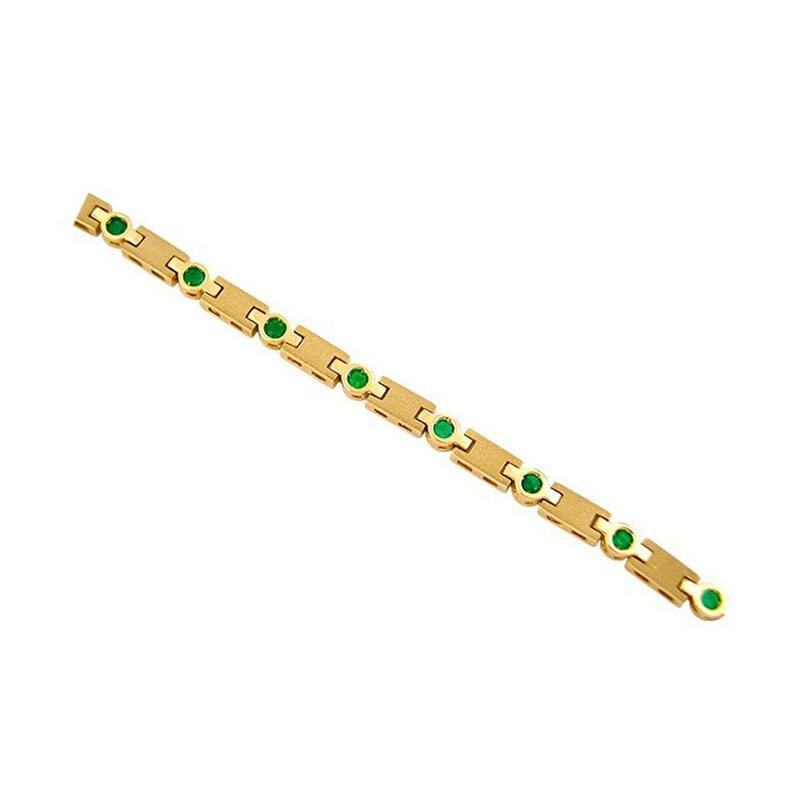 This wonderful 18K yellow gold emerald bracelet is one of our favorites bracelets from our collection. The 13 round cut emeralds are set in high polished bezels that are jointed to rectangular gold links with a very, very fine sandblasted finished creating an opaque surface. The result is a mixture of textures and colors with a beautiful rich contrast.